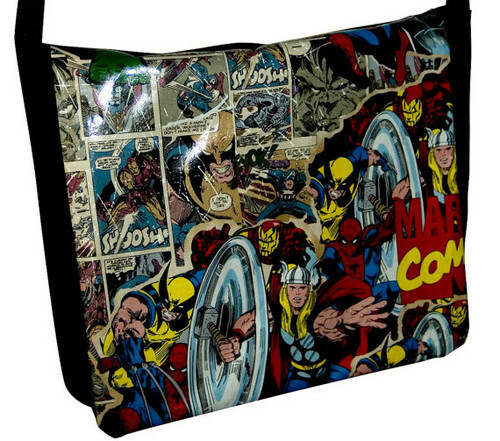 Avengers Messenger Bag. Marvel Avengers Messenger Bag available on Ebay.com oder Etsy.com/Redpanic. Wallpaper and background images in the The Avengers club tagged: the avengers avengers hulk iron man thor captain america bag comic marvel. This The Avengers photo might contain anime, comic, manga, cartoon, comic buch, karikatur, and comics.